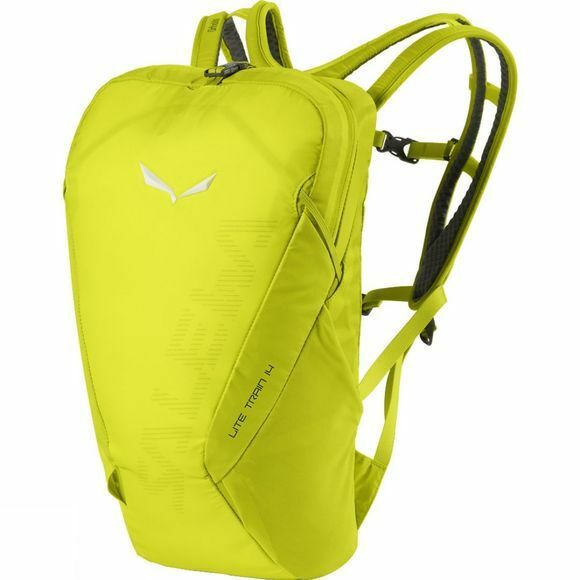 The Lite Train 14L Rucksack from Salewa is a lightweight, minimalist pack with a 14–litre capacity designed for speed hiking and fast–moving mountain activities. The split Ortholite foam shoulder straps of its Contact–Fit Lite carrying system mould to your body to give a precise fit around the shoulders and promote good breathability. The Twin Compression System ensures a close carry and stabilises the load, while the two–in–one lower compression straps allow you to adjust the pack’s height and compression on the fly. With a secure pocket for your valuables and reflective prints for increased visibility during early starts and late finishes.